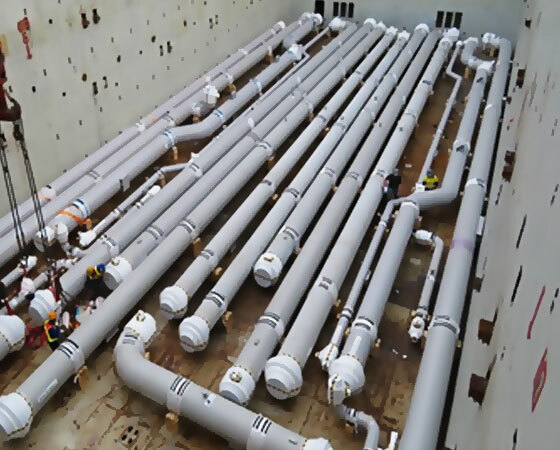 Cryeng Group is the premier supplier of vacuum insulated pipe worldwide (also known as vacuum jacketed pipe, pipe in pipe, VIP, VJP, and jetty piping). 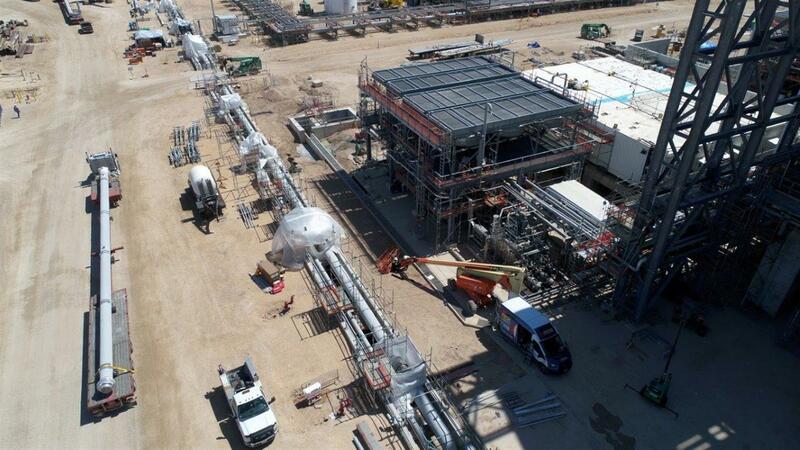 We have significant experience completing large scale projects ($40M+ USD) on-time and under budget, including engineering design, thermal stress analysis, fabrication, site installation, and commissioning. 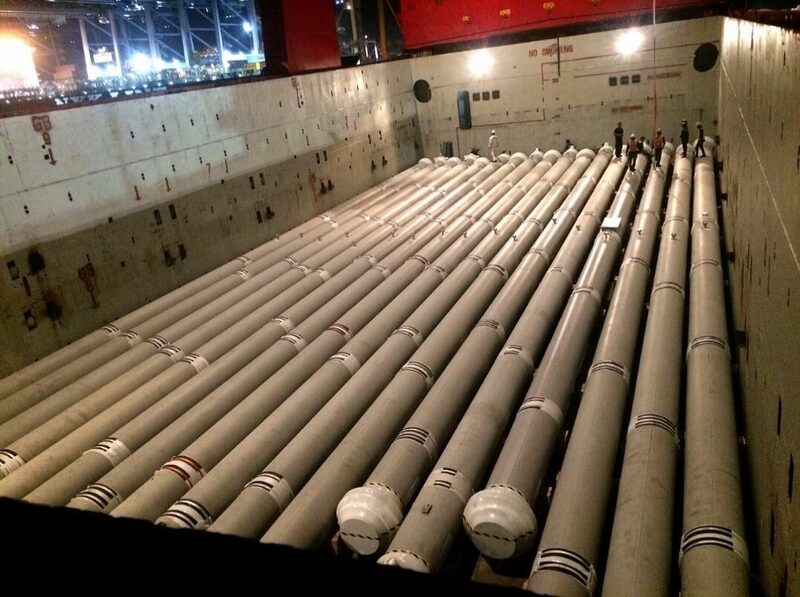 We have fabricated both small (1″ NPS) and large (60″ NPS) bore lines, with the majority of VIP we produce approximately 30″ NPS. All fittings, branch connections, and field welds are also vacuum insulated, ensuring minimal system heat inleak. SEE SOME OF OUR VACUUM INSULATED PIPE CASE STUDIES BELOW. 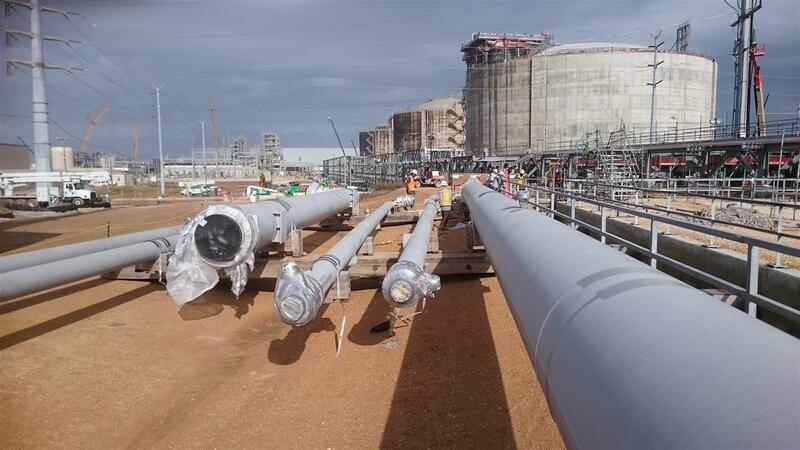 First used in LNG terminals in 1998, vacuum insulated pipe has since become known for its superior thermal insulating properties. 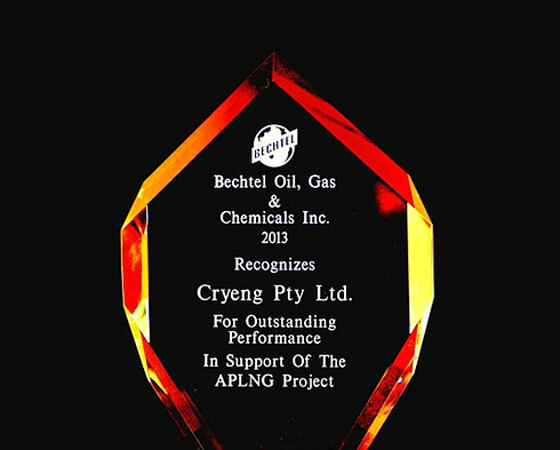 In order to provide this superior thermal insulation, Cryeng Group designed it’s VIP to negate the three methods of heat transfer – conduction, convection, and radiation. Compared to mechanical methods of pipe insulation (foam, cellular glass, PIR), Cryeng vacuum insulated pipe offers 10 times better thermal insulation. In real terms, this means VIP has a heat inleak rate of just 3W/m2. 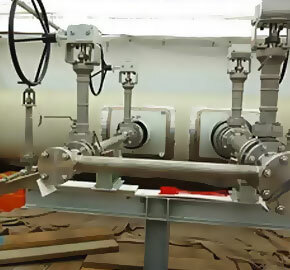 Cryeng’s VIP uses either a carbon or stainless steel jacket which extends the length of the pipeline. The jacket is designed to provide an air tight seal to the core pipe, allowing a high vacuum vapour barrier to be maintained maintenance free for over 40 years. In contrast, the thin vapour barrier used by traditional insulation is susceptible to weathering, and typically requires replacement every 5-10 years. 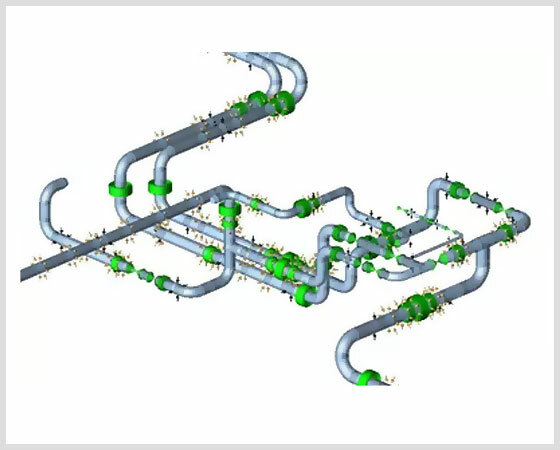 Cryeng’s engineers perform a complete pipeline analysis using ANSYS and CAESAR II. All axial stops, expansion joints, and field welds are all strategically placed, localizing and defining where thermal movement can occur. Ultimately, this allows for the reduction or complete elimination of expansion loops. 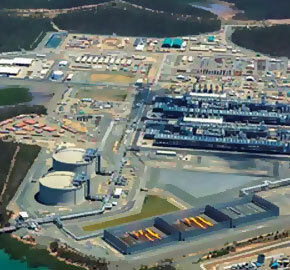 A primary consideration for LNG pipelines has become double containment, enforced by many government and independent regulatory bodies around the globe. 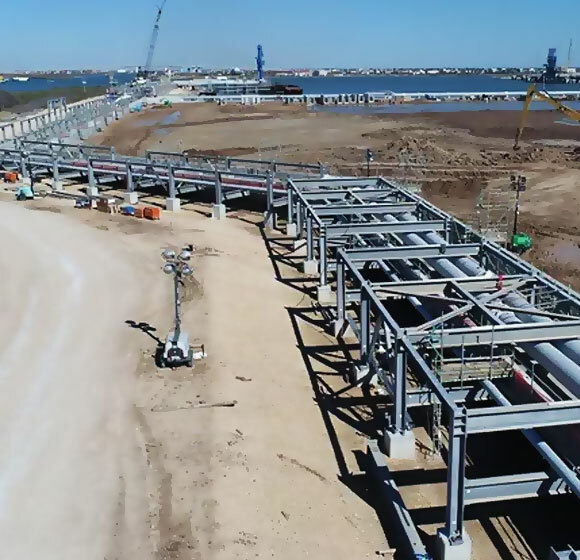 In the USA, FERC has approved our VIP for use at sites in multiple states such as Louisiana and Texas. 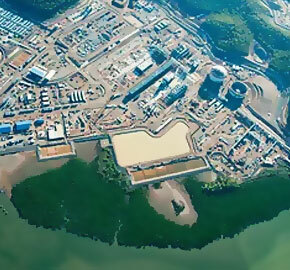 Cryeng is recognized in the leader not just for superior insulation, but also for secondary containment. Every VIP spool that leaves our factory is insulated and ready for installation. On site, the only insulation that is required is to cover the field welds. Compared to installing foam insulation, VIP saves significant site based man hours during the site installation. Achieving our clients expectations is not simply enough. We continually strive for excellence in all that we do. 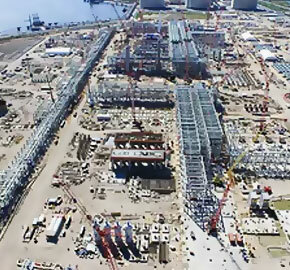 Some of our major VIP clients include Bechtel, CB&I, Zachry Group, ConocoPhillips, APLNG, QCLNG, CLNG, FLNG, and Darwin LNG.